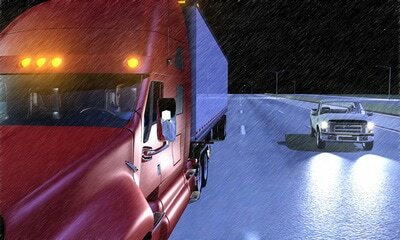 Driving in challenging road conditions calls for reduced speed and heightened awareness. 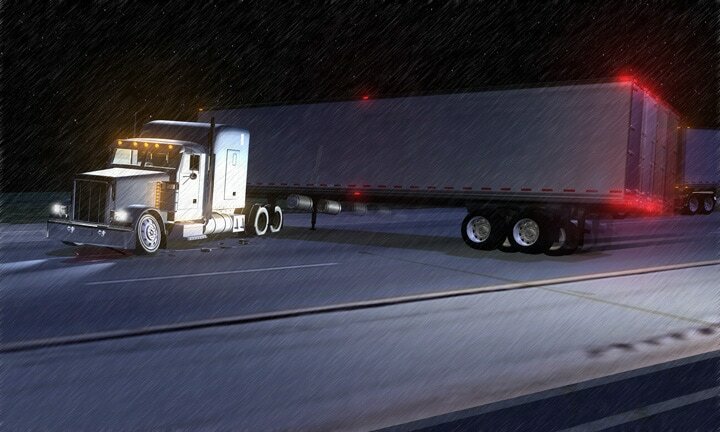 Jackknifing can be caused by swerving to avoid colliding with another motor vehicle or operating at too high a speed for safety. 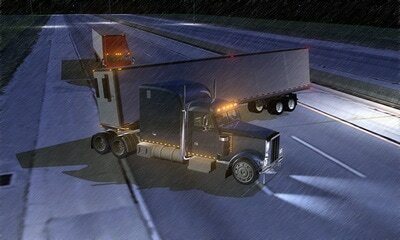 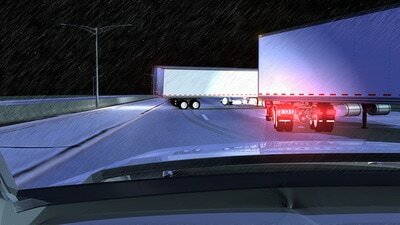 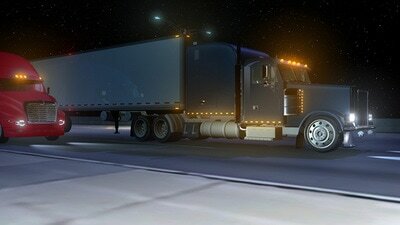 The chain reaction accident above involved two tractor trailers and a pickup. The lead truck had lost traction and control in the rain due to hydroplaning and hydrodynamic drag and two trucks behind it took evasive action to avoid the collision, the result, killing one driver and severely injuring the other, ending his career. 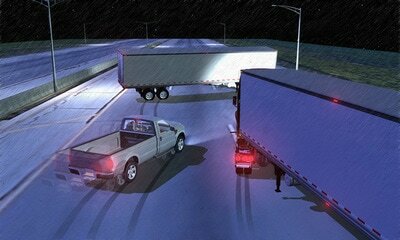 Storyboards of the accident in progress added heightened realism to the expert's testimony. The ability to put the viewer at the scene of the accident and understand how it could have happened was critical to the attorney's narrative. Using police reports, accident scene pictures, satellite data and depositions, we constructed an accurate stretch of interstate and simulated the weather on the night of the accident to produce a realistic set of storyboards for the presentation.